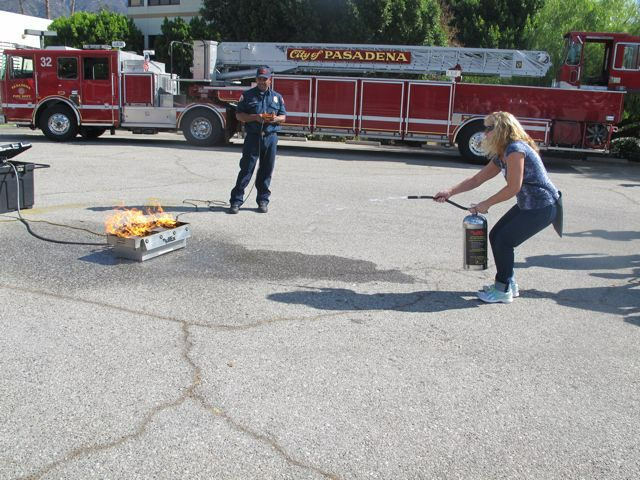 By Harald Zechner, Pasadena Community Access Corporation Board Member Councilmember Gene Masuda’s invitation to District 4 residents wishing to learn Community Emergency Response Training (CERT) took place Saturday, October 25 at the former St. Luke Hospital site on Washington Blvd. The day long event that included both classroom and out in the field hands on training was well attended by those wishing to sharpen their disaster skills. Pasadena Fire Department, Emergency Management Coordinator & Public Information Officer Lisa Derderian along... continue reading »"District 4 Community Emergency Response Training"
Pasadena Vice Mayor Gene Masuda invited the public to a District 4 Community Forum at the Victory Park Community Center to hear about earthquake preparedness from one of the world’s preeminent earthquake scientists, Lucy Jones, Ph.D. Vice Mayor Gene Masuda with Lucy Jones PhD Lucy Jones is one of the world’s leading seismologists and a public voice for earthquake science and safety. A seismologist with the U.S. Geological Survey (USGS) and a Visiting Research Associate at the Seismological Laboratory of... continue reading »"Are We Earthquake Ready? District 4 Community Forum 1.28.16"
PASADENA, Calif.—The Pasadena City Council on June 1, 2015 adopted the City’s Level 2 Water Supply Shortage Plan requiring additional mandatory water restrictions for residents and businesses effective immediately due to the severe drought in California. 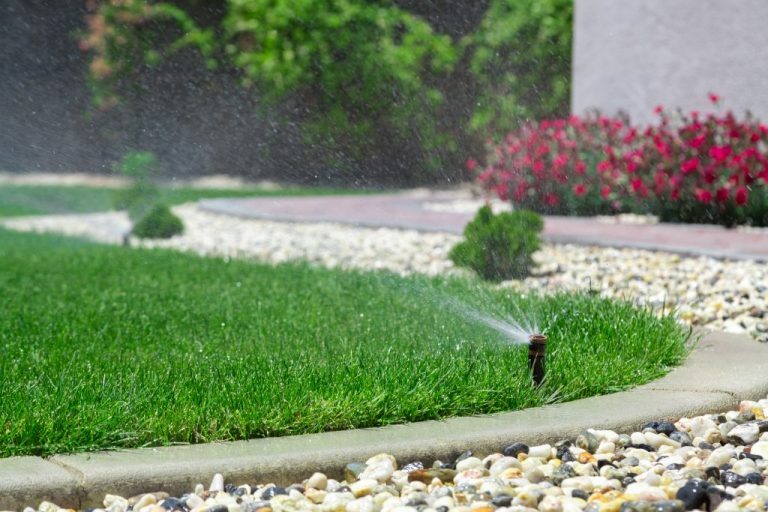 The Council action to adopt the Level 2 Plan: Bans outdoor watering on Thursdays. Outdoor watering is now allowed only on two days per week, Tuesdays and Saturdays, before 9 a.m. or after 6 p.m. Adopts a 28-percent water conservation goal citywide that aligns Pasadena with mandated reductions... continue reading »"Level 2 Water Shortage Plan Adopted 2 Day Only Outdoor Watering"
A three-part ceremony laced with light-hearted laughter saw the dissolution of one City Council and the swearing in of the next at Pasadena City Hall Monday afternoon and evening. 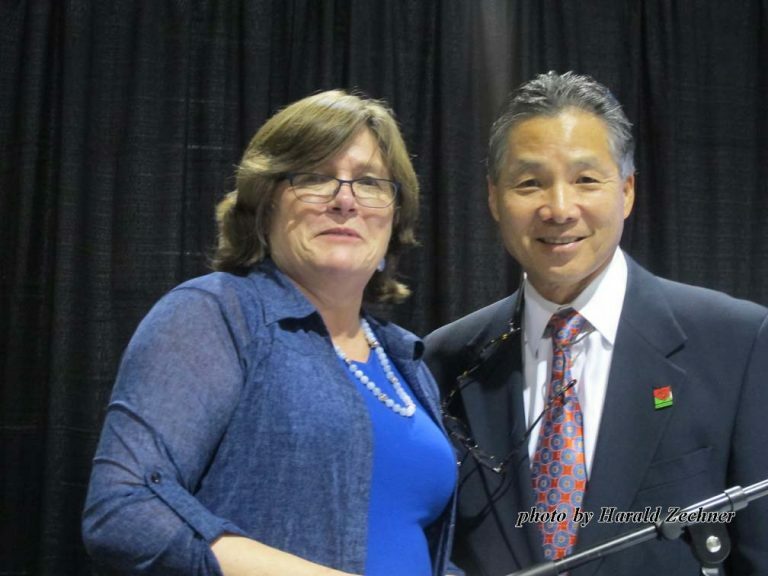 Bill Bogaard became a private citizen once again, as did Vice Mayor Jacque Robinson. 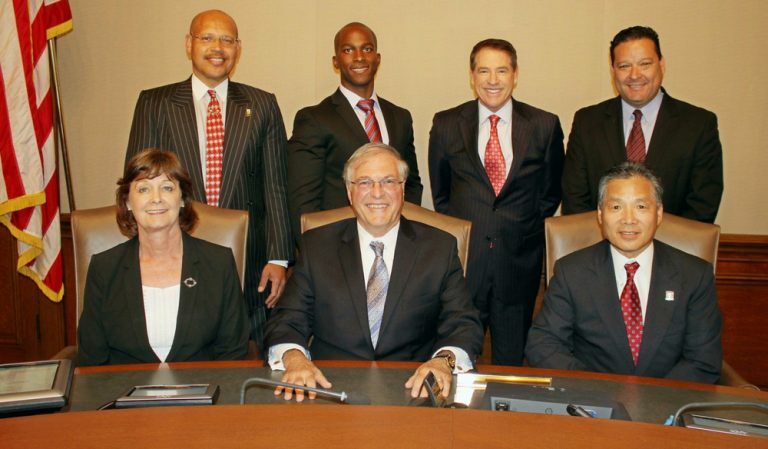 Mayor Terry Tornek was officially sworn in as Pasadena’s new Mayor, along with incoming Tyron Hampton and re-elected Margaret McAustin, Gene Masuda, and Steve Madison as Councilmembers. As the Council’s first business, Councilmember Gene Masuda was unanimously elected... continue reading »"Mayor Terry Tornek and City Councilmembers Sworn Into Office; Councilmember Gene Masuda Elected Vice-Mayor"
Located in East Pasadena, the Sierra Madre Villa Pedestrian Corridor project consists of sidewalk expansion, lighting, landscaping and public art along the east side of Sierra Madre Villa Avenue to and from the Sierra Madre Villa Metro Light Rail Station. Kyungmi Shin’s artwork titled Road Blossoms, utilizes the newly installed City light poles and the retaining wall. The proposed project is intended to improve the pedestrian experience along the freeway underpass and create a more pleasant overall environment. 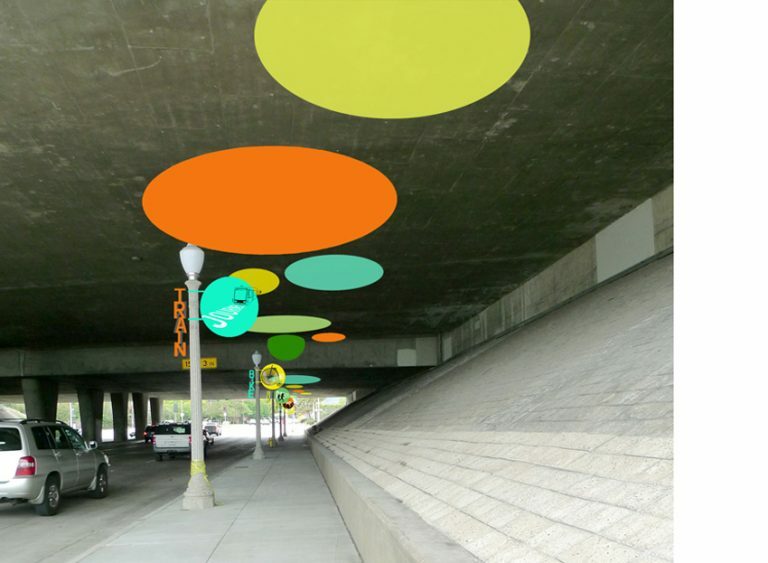 Inspired by... continue reading »"Sierra Madre Villa Pedestrian Corridor Public Art Project Installation"